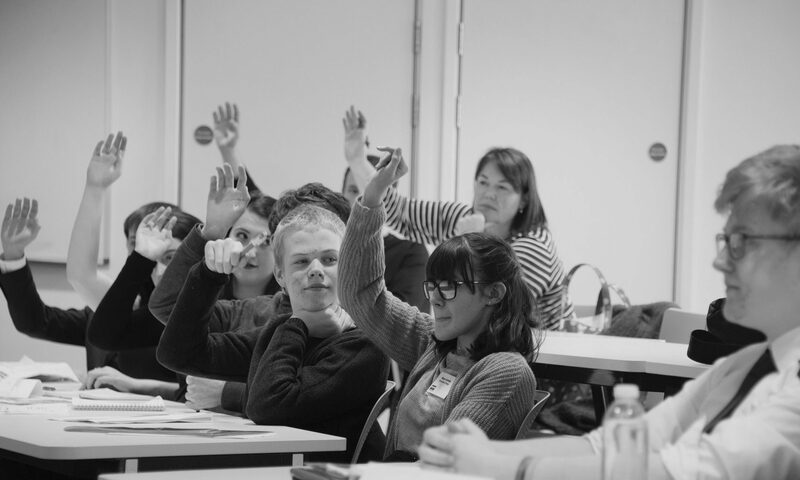 Help us organise and run our events – and enjoy the debates too. We are always on the lookout for people to help us run our events, especially Debating Matters championships. Your role as a volunteer might include helping with the logistics of the day, including setting up and packing down, and keeping the rooms set up so that the debates can run to the very tight schedules needed. With schools, judges, guests and attendees to deal with, there are lots of people who require help and support, such as finding the rooms for their debates or meeting their contacts. On the day itself, we encourage a collegiate and competitive atmosphere, creating a buzz by intellectually engaging each region’s most ambitious young debaters to discuss the most pressing social, scientific, political and cultural issues. Volunteers play a role in supporting these championships to act as a beacon to encourage debating in many more schools locally. With this volunteering role, you get the additional benefit of seeing lots of the debates! If you’re interested in volunteering, contact geoff@theboi.co.uk to register your interest.